It started off as a minor irritant. A prickle, easily brushed aside. But after what felt like the 200th time someone blithely compared my micropremmie to a ‘normal’ baby, that word felt like a festering sore which was never allowed to heal. Ok, in the scheme of things, it wasn’t the worst thing you could have said to me. That award goes to you who offered condolences for the loss of my son, even while he valiantly fought on in the next room. But I digress. Why does that word raise my hackles so much? Perhaps it’s because once Etienne was born, we always seemed to be in its endless pursuit. To the young lady at the stationery store, I’m sure you meant well, but your encouraging comment when my son was already a few months old that he was ‘starting to look like a normal baby’ wasn’t the most sensitive thing to say to someone rampant with post-natal hormones, off-the-chart cortisol levels and an emerging case of the baby blues. But of course, being the consummate polite English girl that I am, I merely smiled and nodded, while inwardly crying for my beautiful, almost-normal boy. It wasn’t just the inexperience of strangers though. Medics, family members, and well-meaning friends would all use the dreaded ‘n’ word. I assumed people would grow out of it, just as my son grew into his skin, but at age six months adjusted, he’s still being defined in terms of his inclusion or exclusion from that elusive group of babies. And it snaps at my heels. A lot. But here’s the thing. It’s not you, it’s me. 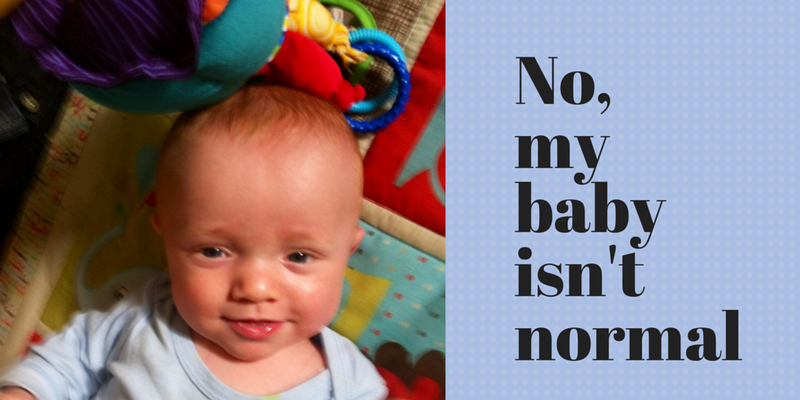 When you give birth to an extremely premature baby, nothing is normal. From the moment you lie on the surgical table, eyes locked on the sterile curtain that will reveal your son’s fate, to the day you finally leave the hospital with your tiny, fragile baby, still reliant on oxygen cannisters, and already four and a half months old. So we keep hoping for, pursuing that nirvana, normal. Running away from abnormal. Like so many other micropremmie parents before me, I fell into the trap of thinking that once my son was home, finally, life would be normal. But it’s not. The eternal scramble to make sure Etienne takes every last ml of milk because we’re terrified of losing a single percentile is not normal. Nor is the unrelenting war against germs, meaning we need to avoid crowded places and quarantine him from other children. No mothers groups, no day care, no playing on the swings in the park. 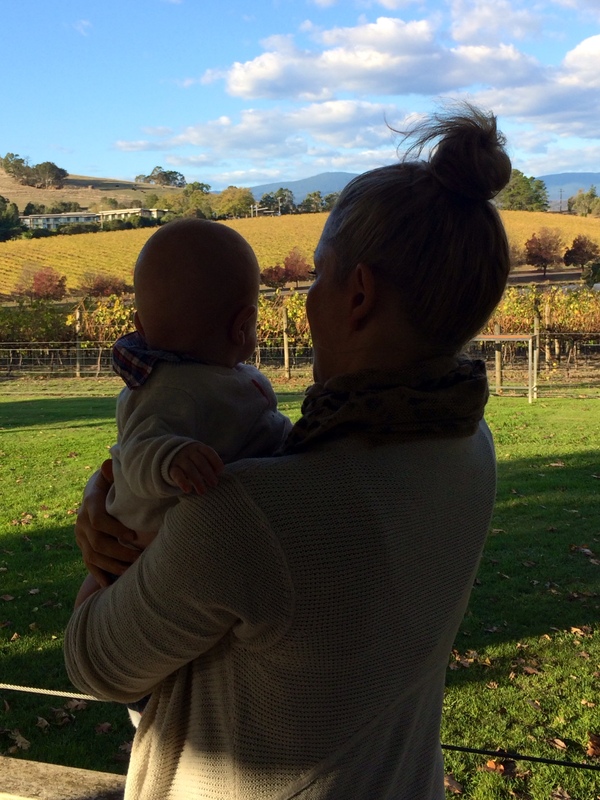 The mounting fear when your baby shows the slightest sign of illness. No flights for a few years because of chronic lung disease, so no proud reunion with my family overseas. No baby shower, no first birthday party because it’s bang in the middle of flu season, and no easy answer when a stranger asks how old your child is. It defies every preconception I had of what would constitute normal. And yet. If this is the very small price for taking our very significant prize home, I’ll gladly pay it again and again, whilst stoutly defending our claim to be the luckiest and happiest little family in the world. But please, do me a favour, next time you want to talk about how ‘normal’ my son is or isn’t, ask yourself, does normal even really exist – or are we all just different shades of the usual? In any case, when I think of the litany of hurdles; the swathe of night-time horrors my baby had to overcome to be here today; compared to your average milk-drunk, rosy-cheeked full-term chubby bubby, I must admit Etienne is indeed not normal. When you’re a micropremmie, normal just isn’t enough. OK, I don’t know where you’re located and so whether there are any ex-prem groups near you – but if there are then I would definitely try them out. It’s other mums who are also germ-phobic, it’s a chance to get out of the house, it’s other mums who’ve been through NICU and have shared experiences. When summer comes we will definitely be joining an ex-Premmie group! Because of Etienne’s chronic lung disease we’ve been warned away from exposing him to other children over winter by his respiratory consultant and paed. Thanks for your suggestion and for stopping by! Most ex-prem groups have an illness policy, which is basically don’t bring your child if they’ve been unwell at all. Best wishes for the winter, and just for the record – my son got his first three colds from the hospital when we went in to get the RSV immunogloblin injections. Bloody hospitals, full of sick people. Hi Tara I think whether your baby is 17 or a few weeks prem we all have our shared experiences. Leaving the hospital for the first time without my baby was just so heartbreaking, and something you’d absolutely understand. I hope your little man is thriving now! I haven’t had a micro-premmie or even a premmie so I could never truly understand what it is like or what you go through but I would like to say congratulations on your beautiful bundle of joy, and may your wonderful little family stay happy and healthy through the colder months. Thank you Kerry for your lovely words, and for reading our story. Hi Carmen, i feel like you took the words from my mouth! Thank you for putting in writing something i haven’t been able to. 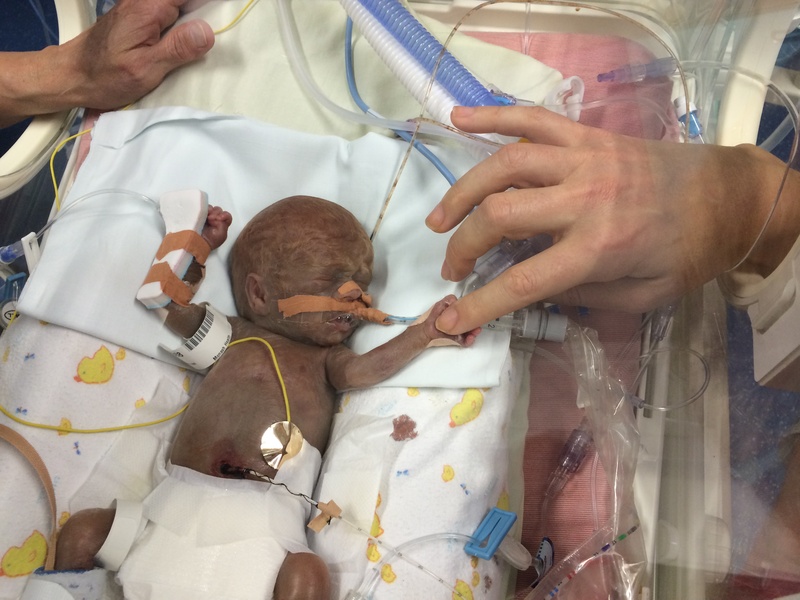 My daughter was born at 25 weeks, spending 5 months in nicu and coming home on oxygen. She is now 4 and in and out of hospital with colds, she also has a windpipe issue requiring it to be reconstructed meaning she struggles with breathing, there are about 12 cases in the world so a very scary stressful situation to be in. Fortunately she can do pretty much anything the average child can however I’m sick of and it breaks my heart when people look at her and say how lucky she is to be doing so well, it invalidates the stress and heartache of the millions of appointments we continue to have, the fact she has to stop playing because she’s out of breath, having to have an oxygen tube when she’s already feeling crap with a cold and having a 4 year old that knows more medical terms than the average adult!! Bringing your child home from nicu is such an exciting time but people forget that its not necessarily the end of our premie journey so when I’m walking through the supermarket and a stranger asks if my daughter is ok because you can hear her breathing 5 isles away don’t tell me how lucky she is because she survived being a premie baby, we still have the highs and lows that were experienced in the nicu, just because she made it home its not over. This was absolutely beautiful. My son was born at 25 weeks 1 day this past January. We are still in the NICU but praying to be home come May. I feel like I have experienced so many of the feelings you talked about. Especially with people telling me my son is starting to look like a real baby now. Um, pretty sure he has always been a baby. And a strong one at that! Thanks for sharing. I also constantly sang to my little boy in the NICU. Mainly songs from the Sound of Music (as they’re all I could remember the words to). Now I sing ‘little white bull’ because he’s my little bull, a pretty little bull & a brave little bull but just ain’t black (normal). he was 500g born at 25 wks and we spent 7 months in hospital. He was on O2 at home until 13 months. At the age of 2 he’s just started rolling all the way over and doesn’t sit unaided but considering we were told if he survived he wouldn’t ever smile or acknowledge us, he’s an absolute joy, and so happy. I also hate answering the how old is he question. I love this!! It brought tears to my eyes. My baby was born weighing 500 grams and her first year of life has been anything but normal. I can definitely relate! Thank you for sharing! Its an amazing journey. I am the proud mom of a feisty tenacious 3 year old that some days really sets the bar as far as challenges go. And then I remember how uncertain thing were when she arrived at 24 weeks and 2 days weighing in at 589g. And how that same determination got us to where we are today. And I think if I had a flash forward then to life now I would have said bring it on we can handle anything. The truth is you never forget but we are very fortunate – our daughter is now very healthy and strong, fearless and amazing and her prematurity now helps to remain grounded as we deal with very ‘normal’ challenges associated with a very determined toddler. Wow Moira you have articulated everything I feel now and hope I am still saying in a few years too. I think its more than luck that you and your daughter ‘found’ each other! My premie twins were monsters compared to Etienne – 1.2kg and 1.3kg at 32 weeks. Leaving them in NICU for 4 weeks was horrid bringing them home when I should have been 36 weeks pregnant was amazing and terrifying. You are going to have am amazing journey with your beautiful little man. I did with my girls who are about to turn 16. Enter your email address to follow 558grams and receive notifications of new posts by email.